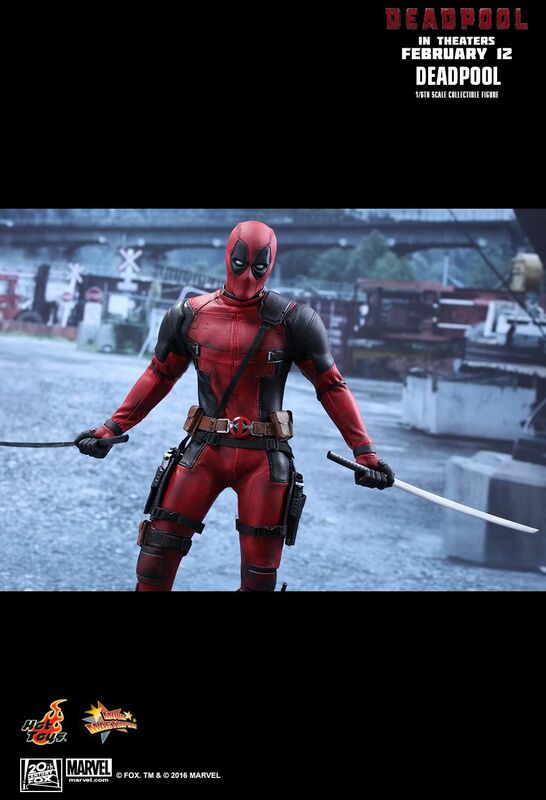 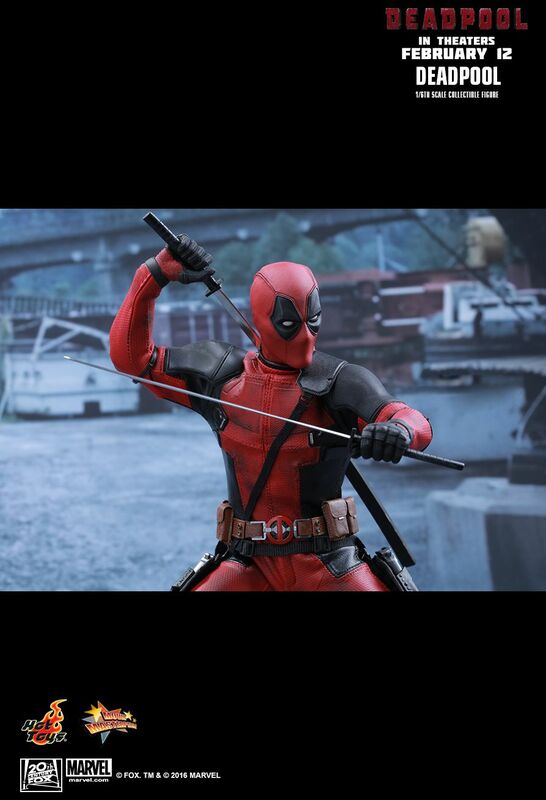 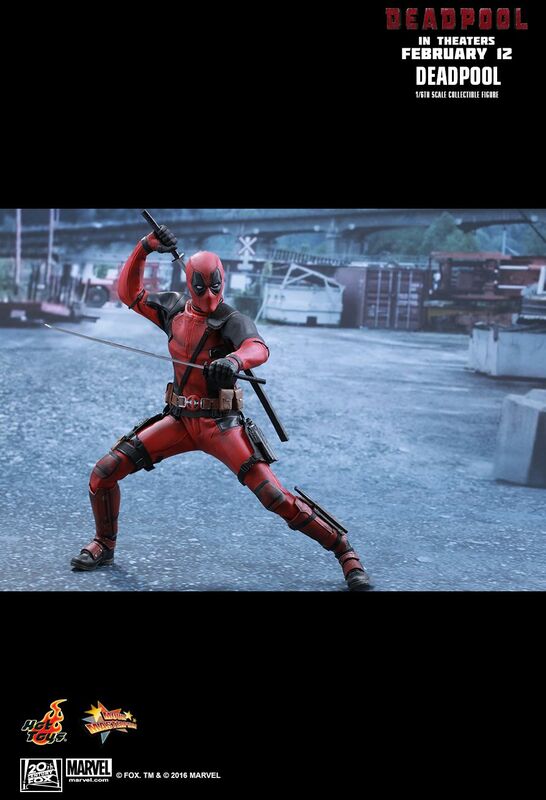 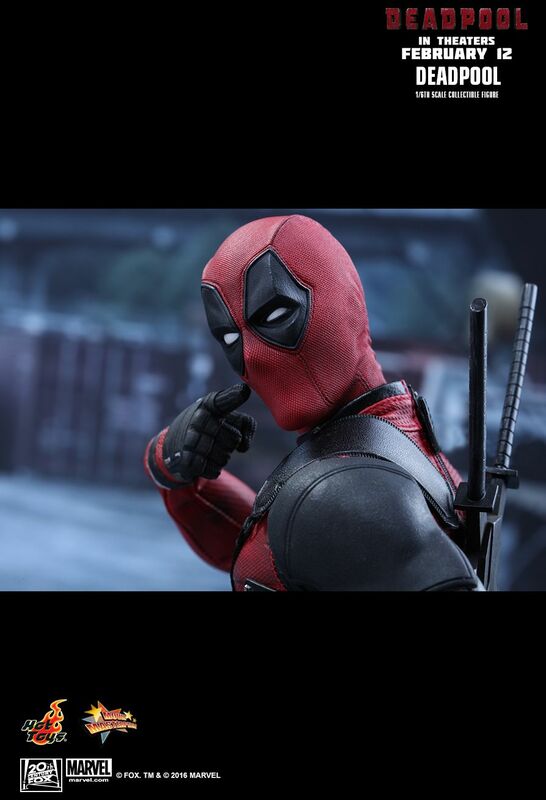 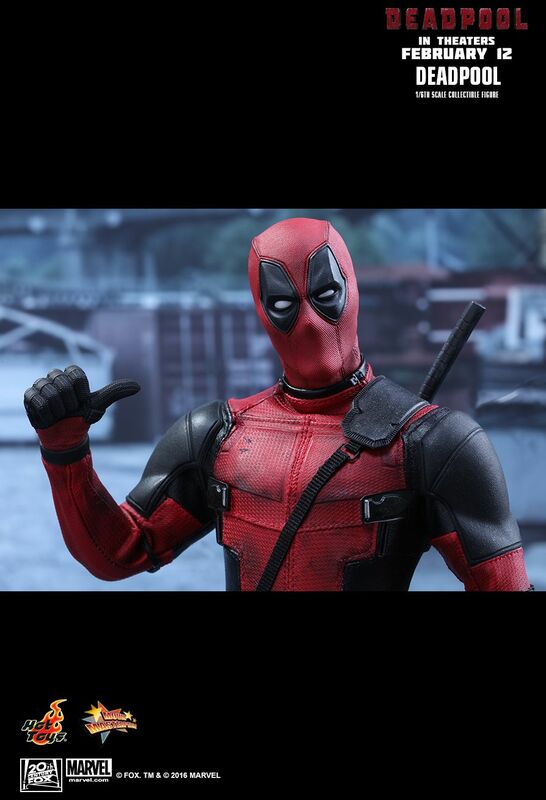 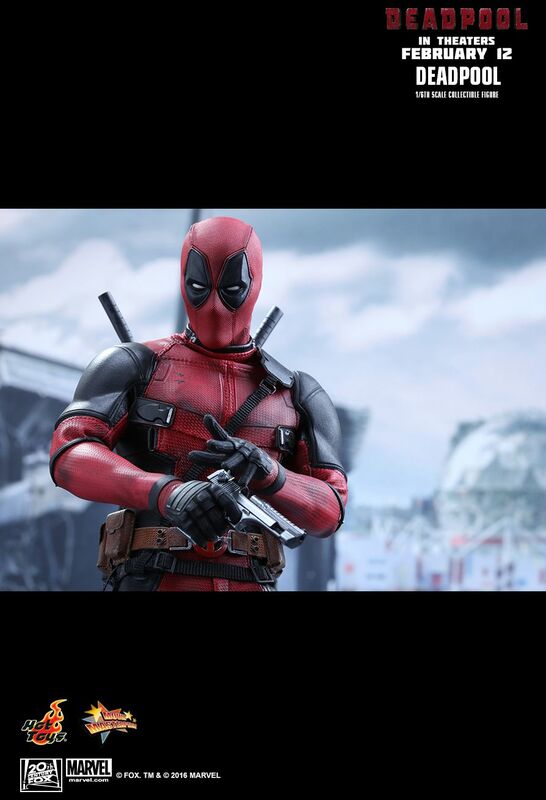 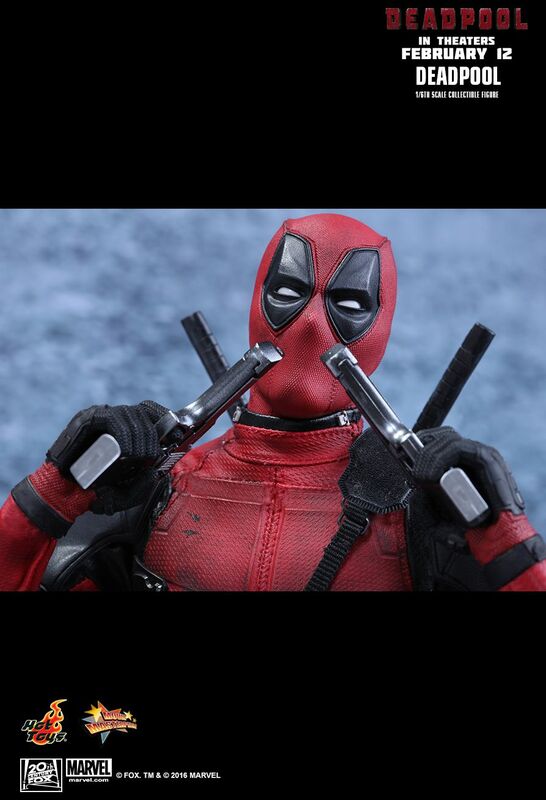 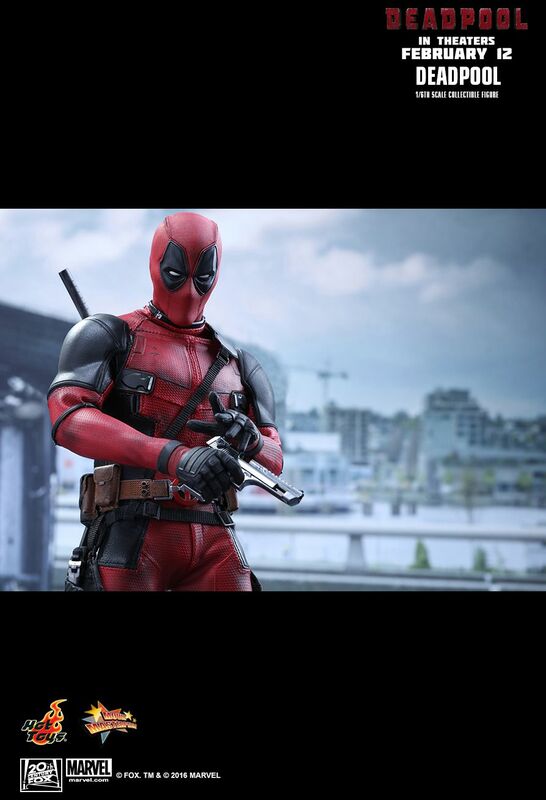 Marvel’s most unconventional superhero, Deadpool, will finally hit the silver screen in full glory with his over-the-top personality, dark twisted sense of humor, and tendency to break the fourth wall which fans have always loved! 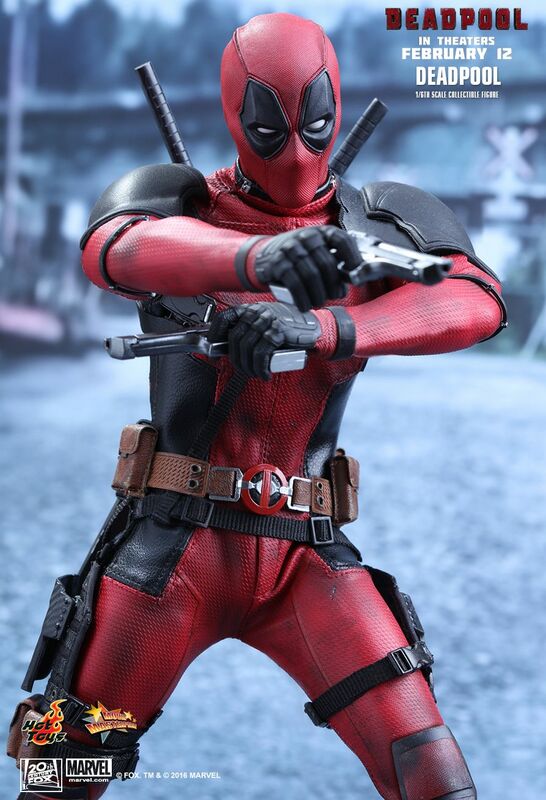 Today, Hot Toys is very excited to officially introduce the one and only 1/6th scale Deadpool collectible figure based on the upcoming Deadpool movie! 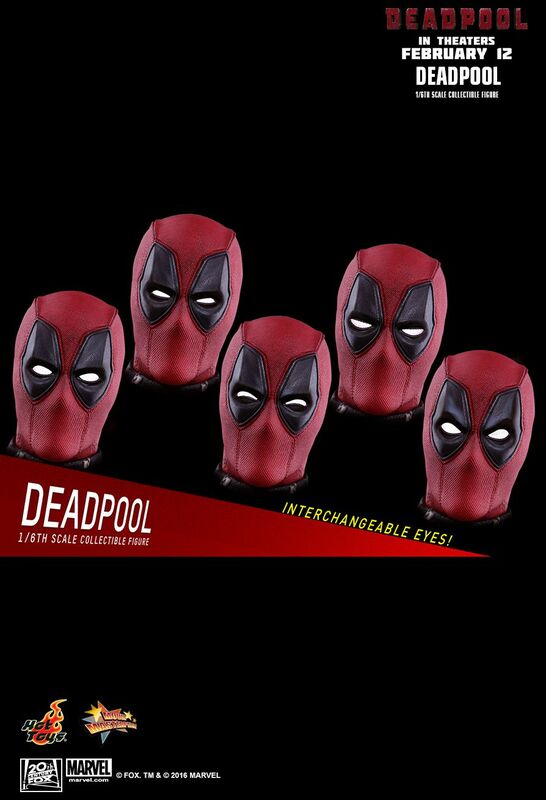 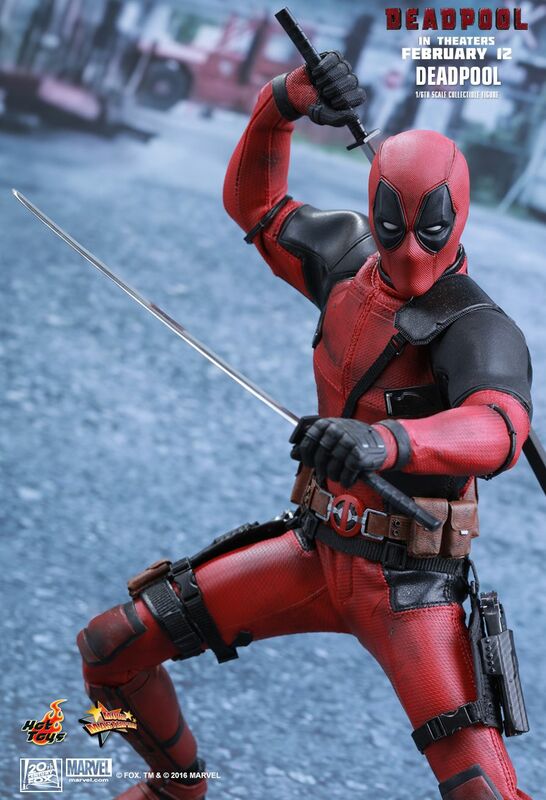 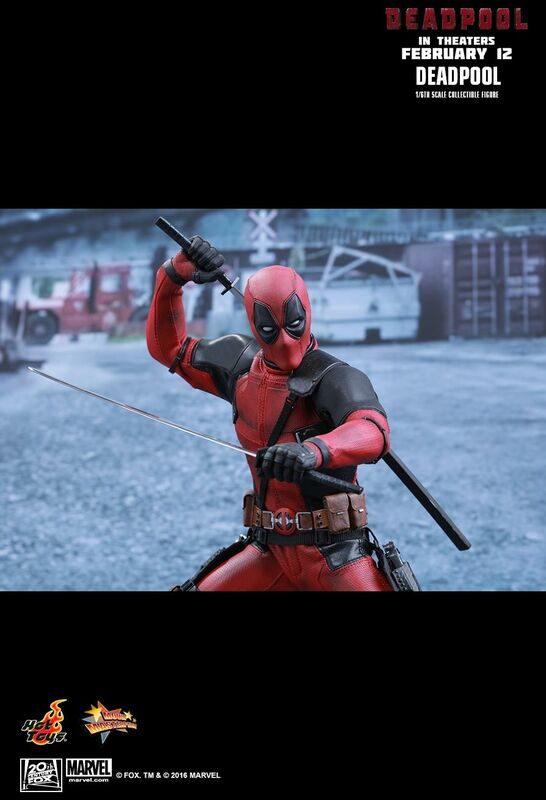 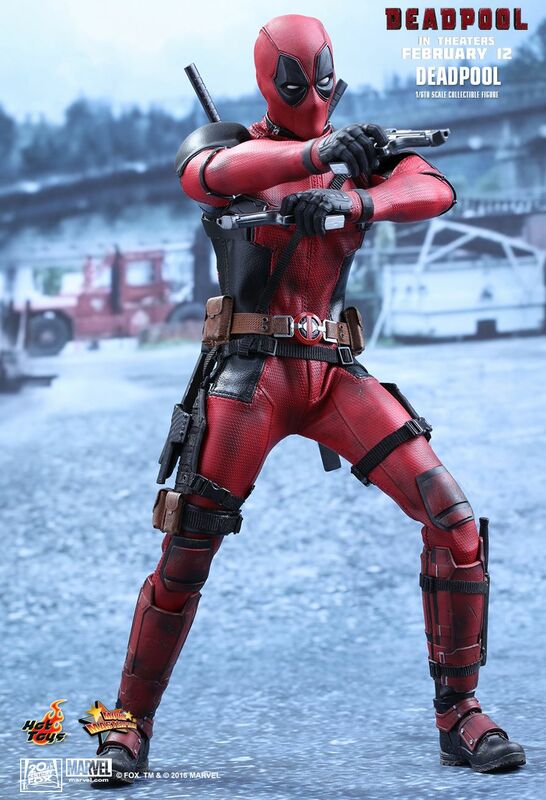 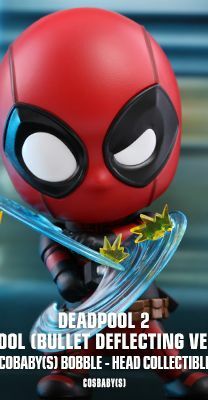 The movie-accurate collectible figure is specially crafted based on the image of Deadpool from the film. 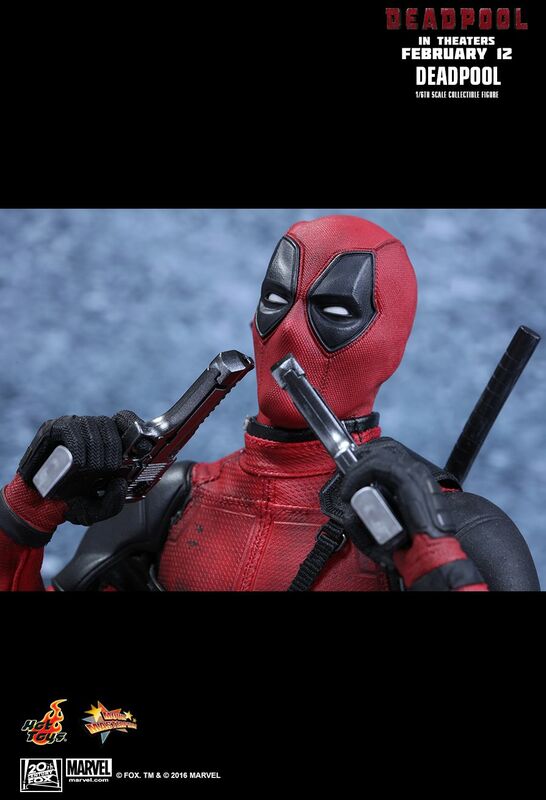 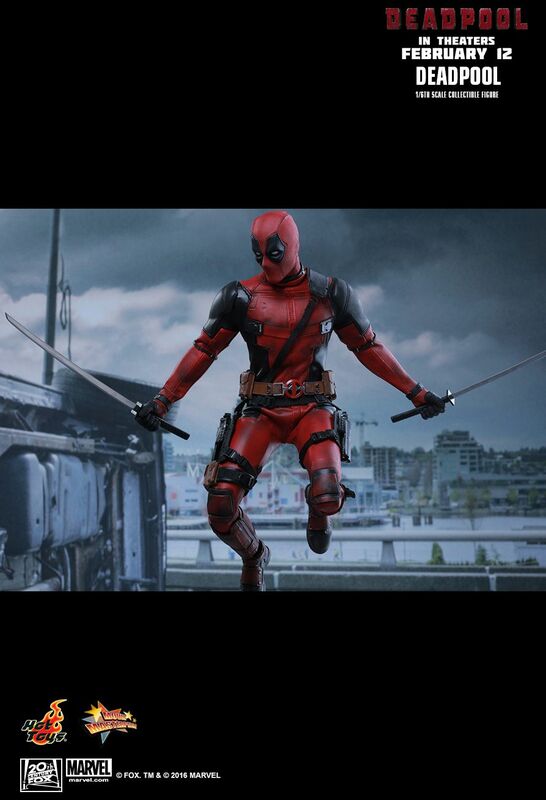 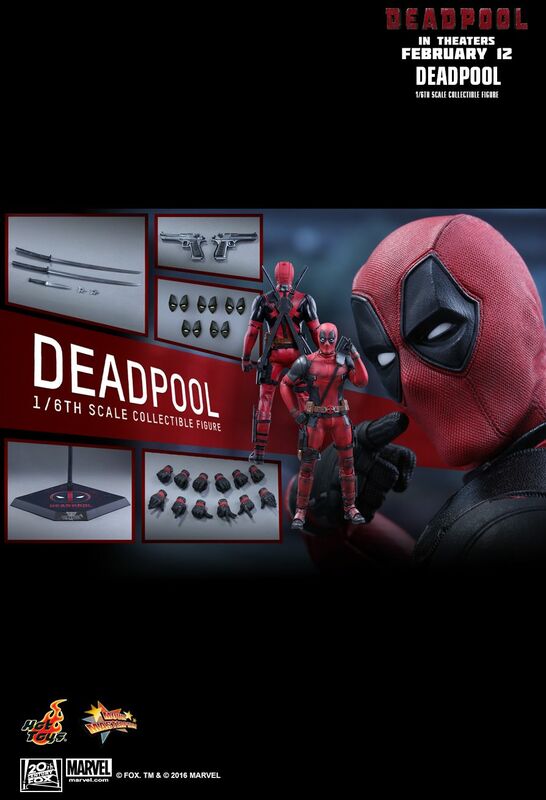 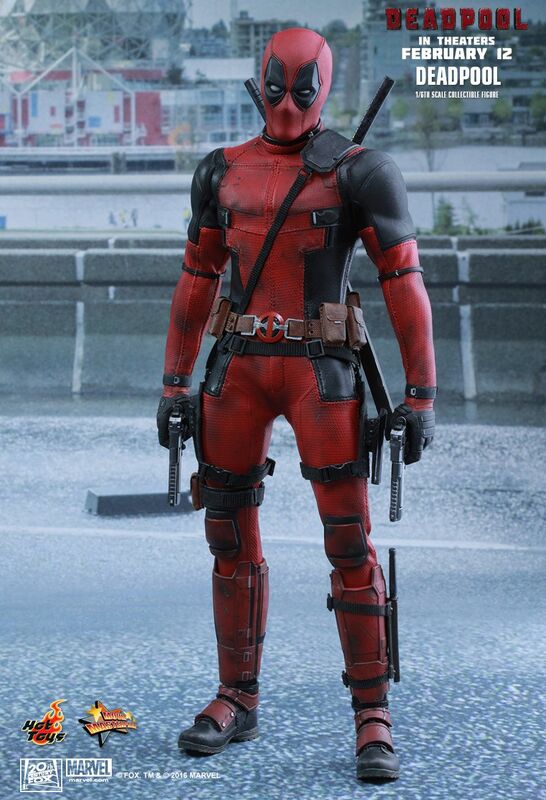 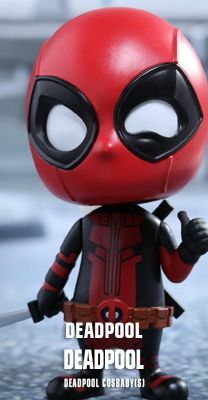 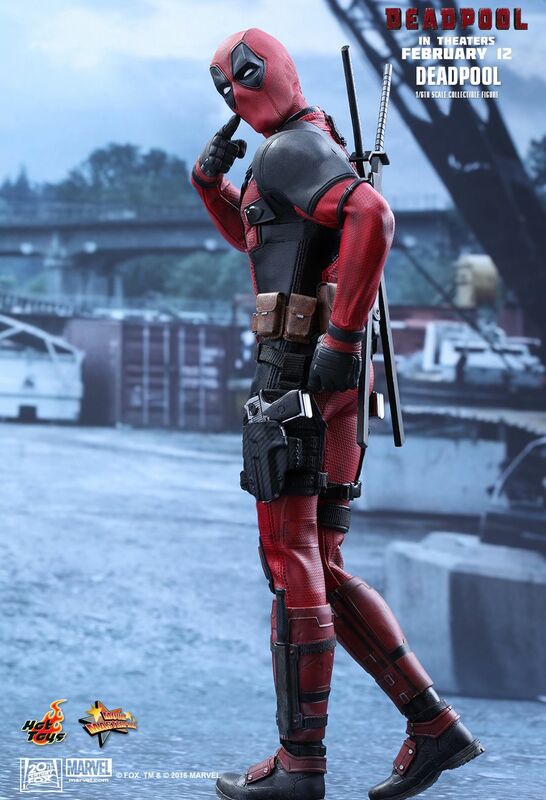 It features a newly developed masked head sculpt with 5 pairs of interchangeable eye pieces to create numerous combinations of Deadpool’s expressions, newly developed body, meticulously tailored Deadpool suit with weathering effects, Deadpool’s signature katanas and pistols, variety of interchangeable hands with gestures, and a specially designed Deadpool themed dynamic figure stand perfect for aerial poses. 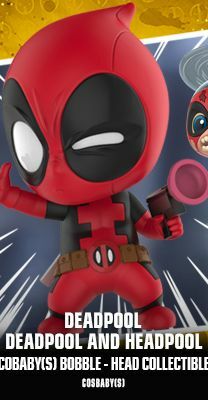 You just can’t pass up on this opportunity to add the beloved Merc with a Mouth to your collection and witness the beginning of a happy ending. 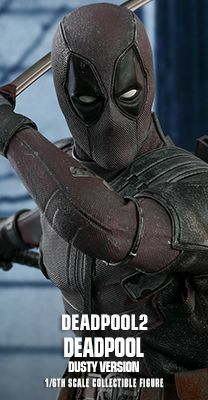 © Fox. 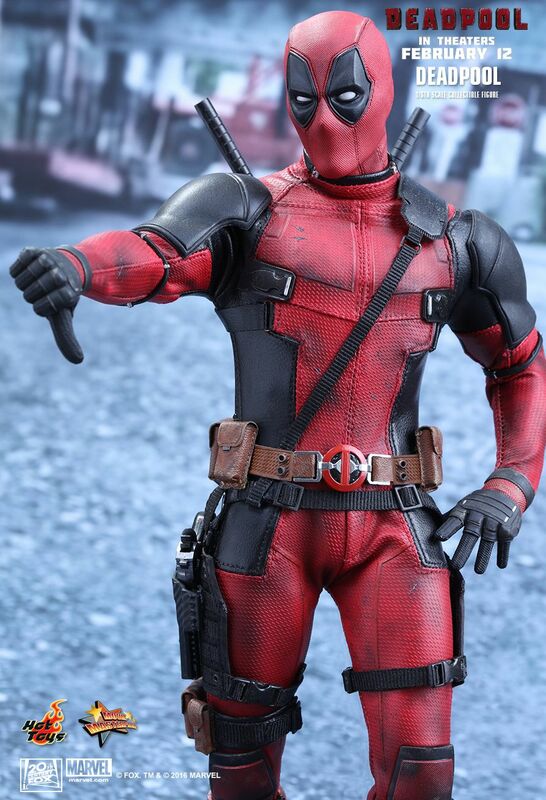 TM & © 2016 Marvel.